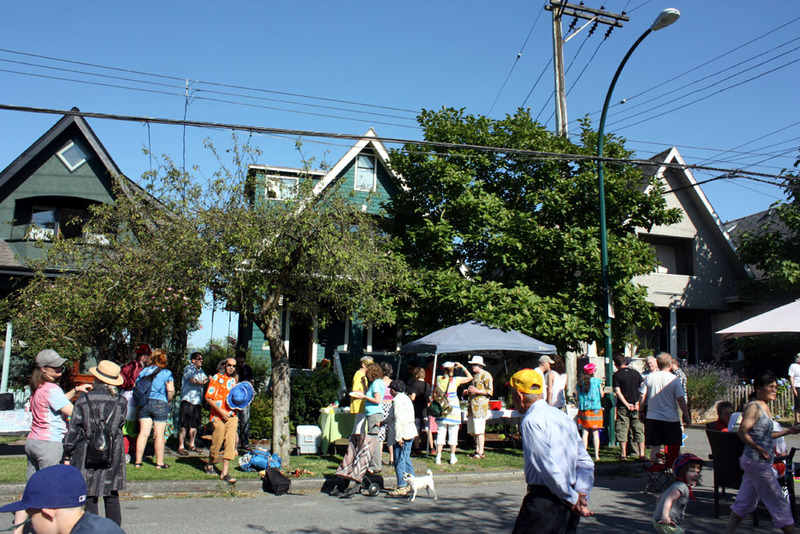 Vancouver City’s ReTHINK Housing competition has thrown up at least one winner that I can fully support — the idea of reducing roadways from 66′ wide to 33′ and using the new found land to build affordable housing. The housing would be affordable because the city already owns the roadway and so the cost of land in this proposal is essentially zero. I would suggest that along some of these recovered areas we could also place new transit services of various types, while leaving the remaining roadway for walking, cycling and, I suppose, cars. Here in Grandview we are used to 33′ lots (even many that are just 25′) and there seems to be no difficulty in creating a very livable community under such conditions. This is a creative idea that conjoins the idea of affordable housing with a less-cars-is-better sensibility, and I am glad to hear via Twitter that it is an idea that is being considered seriously at City Hall. 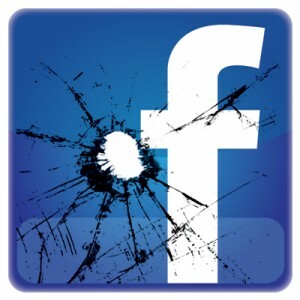 Does anyone really need more reasons to quit Facebook? Yesterday was a day for community. 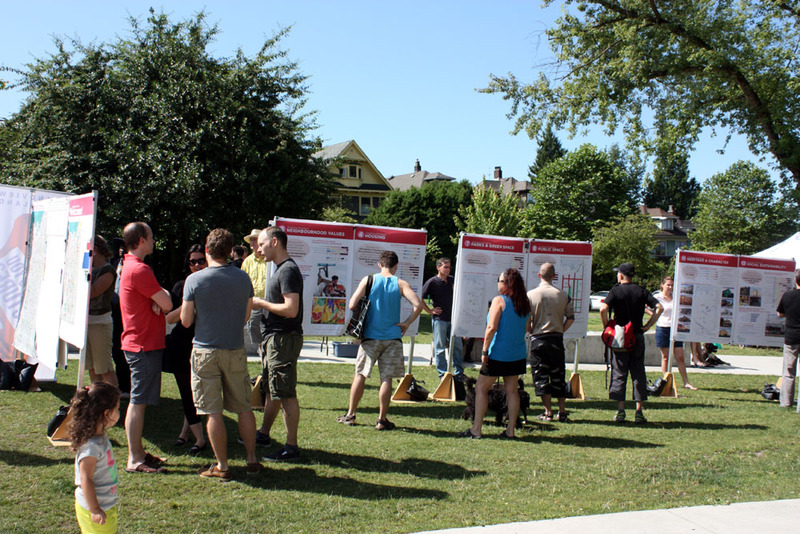 At 11am we visited the City’s Community Plan outreach event at Grandview Park. The main purpose was to display the results of the surveys they have been undertaking this spring. The displays were well-execute: interesting, easy to understand and colourful. There was a steady stream of visitors, some no doubt attracted by the free hotdogs on offer! After spending some time in the Park, chatting with a lot of friends and acquaintances, we strolled across the road to Fet’s, one of our favourite spots on the Drive. We got a place on the patio, there was the suggestion of a cooling breeze, and we both ate too much! Fet’s has always been good under Eric and Allura, but now that a second generation is taking the lead (with sons Travis in the kitchen and Ryan front of house), they are reaching ever higher standards. 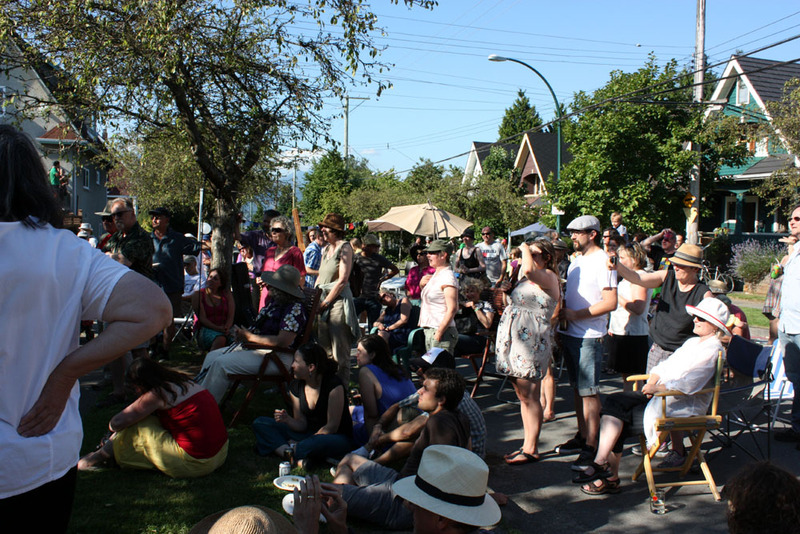 In the evening (after a well-earned nap) there was a street party in the 1200-block Lakewood Drive. The east side of that block has a whole run of glorious heritage houses from 1910 and 1911, and the party was to celebrate that heritage. I’m sure that all the folks on the block were there, along with the Carnival Band, a great spread of food, bunches of other folks from the neighbourhood, and many of the Grandview Heritage Group. There was a short talk by historian Michael Kluckner, and a wonderful speech by resident Jim who explained in some detail how the houses were put together back in the day. The sun was hot, the smiles were broad and everyone had a great time. It is not often that we get the chance to see the interior of a 1909 heritage house that has retained many of its original features. A week or so ago some of us were lucky enough to see the interior of Brookhouse at 1872 Parker Street, vacant, before it is re-developed. I have posted an illustrated article on this at the website of the Grandview Heritage Group which I hope you will find of interest. BC Premier Christie Clark is getting a lot of press for walking out of the Premiers’ discussions on a national energy policy while her concerns about the Northern Gateway pipeline are unsatisfied. She is getting castigated in the eastern press (and I include Alberta and Saskatchewan in that description) for being anti-Canadian, while a bunch of local right-of-centrists on Twitter are cheering her on. I think she is still on the wrong side of the fence. As I understand the bottom line of her concerns, she will approve the pipeline if BC makes more money from the deal. That’s a dead wrong position and can only lead to the eventual approval for the project if Alberta wakes up, smells the coffee, and opens up their cheque book. The NDP, most interior First Nations and, I believe, the majority of the BC population just want to say no. 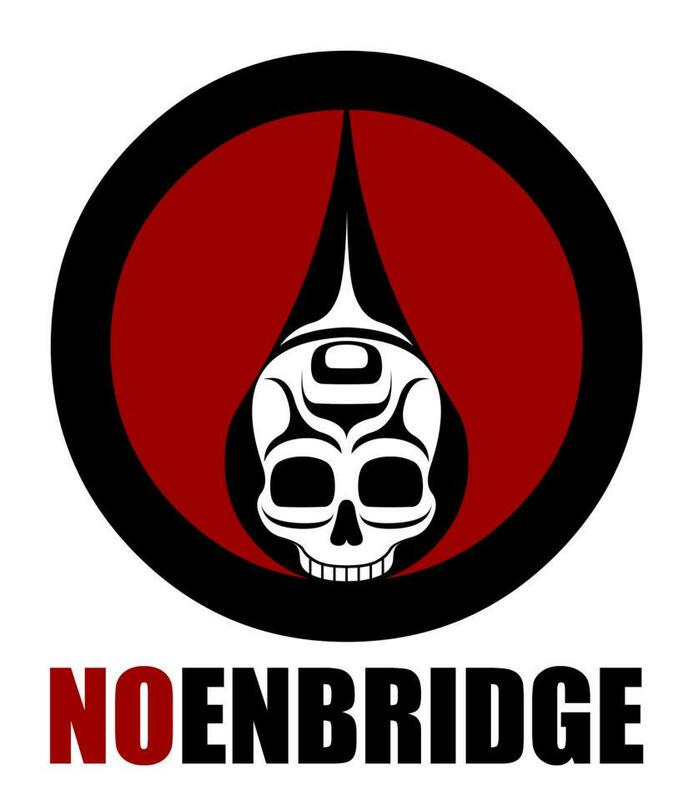 We don’t need the pipeline, we don’t need the crude oil, we don’t need the risk. There is no amount of money in the world that could pay for the damage a big spill in our north or on our coast could cause. Andrew Coyne and other Easterners have suggested that, in the end, the Feds could legally force us to have the pipeline. If they think that Clark’s intransigence today is harming Canada, they should see what might happen if the people of BC are over-ridden on this by Ottawa! I’m not generally a supporter of the Olympic movement — the Games spend money that could be better spent elsewhere and they are dominated by US network and sponsor considerations. 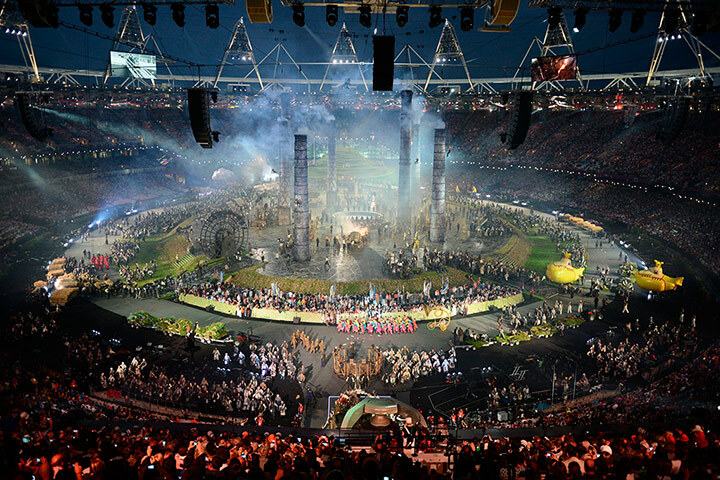 That being said, the London opening ceremony was simply stunning. Well done Danny Boyle and all the volunteers! You are currently browsing the Jak's View of Vancouver v.3 blog archives for July, 2012.